You are my Source—the Love in which I live. There is no greater power. This Power sustains me, strengthens me, and shows me the way. Love is the journeyman. Love is the journey, and Love is the destination. There is only Love. I had forgotten my way and thought I lived in separation, desolation, and hopelessness. I thought I was abandoned in a strange land where there were seemingly others who were afraid and lashed out, protecting who they thought they were and what they thought belonged to them. I thought I was abandoned and so I was afraid and clung to who I thought I was, what I thought I owned— thinking I alone could keep myself safe from harm. Yet, You did not abandon me, nor my brother. It is I who have abandoned my Identity as Your Child—-sinless, guiltless, and at One with all my brothers and with YOU, my One SELF. It is my Prayer today to see myself at home within the Temple of my most Holy Mind and join with You, the Love that Created me. From this I AM, will I extend the Light and Love to shine on all who are lost themselves in darkness and in hate. For only Light will dispel the dark and only Love will dispel the hate. Now do I remember—I AM Your Child, healed and whole, sinless, and guiltless, at One with You and all my brothers. And now I see this gentle awakening dawning upon all of Your Children, as one light shines upon another in remembrance of its own light, and then upon another and another until the Sonship joins in the Glory of Its awakening to the One Self, —to the One Love at the Center of Its One heart. THE ETERNAL NOW: IT’S HERE! IT’S HERE! going home at night, or sitting reading a book, it is unavoidably now. The fact that it is always now never can be changed. It is impossible to make it be not-now. Dziuban, Peter Francis Consciousness Is All: Now Life Is Completely New (p. 114). Blue Dolphin Publishing, Inc. Kindle Edition. When we were younger, my twin sister used to say that being with me is like looking at the sun. She was implying, in a not too veiled way, that I am an intense person and sometimes it is uncomfortable to be with me. I took it as a compliment. I suppose I recalled the memory of this observation just ‘now,’ because I am venturing to write about a subject that is, for the most part, ignored—much like the fact that we are all going to die some day. To visit the NOW might be like looking at the sun for some people. If we are going along, living our lives based on an imagined past and an inevitable future, the Present Moment of NOW might be viewed as something that would only gum up the system. In fact, it stops the system. Thus, when an idea challenges our reality, there is fear. We may not know how we got to this life, but we have developed ‘by now’ a way of coping with where we find ourselves. We have mitigated the fear of the unknown by building beliefs about what is so. These are the beliefs that are sacrosanct and not to be questioned, because to question these beliefs is to question our sanity. However, you are reading these words. Something peeked your interest and brought you here. There are no accidents. When a person comes into our lives, or a book, a song, a movie—we have the opportunity to see it as a gift from our Soul, and pay attention. There are no accidents in salvation. Those who are to meet will meet because together they have the potential for a holy relationship. They are ready for each other. Every decision we have ever made has brought us to this MOMENT. For me, right NOW, the moment is a beautiful March morning on my loft in which I have time to type and share my thoughts. If you stop a moment to take notice, right NOW, you too can describe the MOMENT for you. Yet it is always and forever, NOW. And that’s a beautiful thought. It doesn’t have to produce fear. There is strife only when we hold onto anything. In the letting go and accepting what is, there is PEACE. In the ACIM Study Group I attend, which has been meeting every Sunday for several years here in Omaha, Nebraska, there is a gentleman who reminds us often of something he learned from his experience. He tells us the key to Peace, or to any difficult situation, is ‘Surrender’. This gentle person had a shift in consciousness and experienced himself as Pure Conscious Awareness. 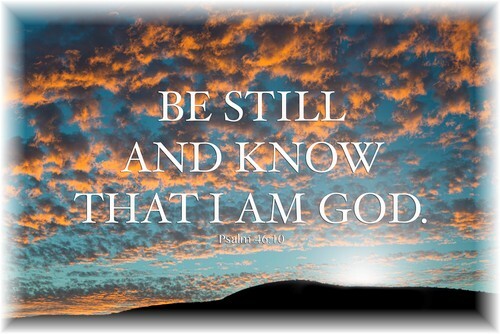 He ‘knows’ It is what HE IS NOW, what I AM NOW and what YOU ARE NOW. It never changes. When we surrender to what is, there is PEACE. How profound is that! Perhaps we could go further and ask ourselves these questions: Are we aware of this moment? Is the moment NOW? Is the moment HERE? Can we change this moment of NOW to not be the moment, to not be NOW, or to not be here? Which brings us to the main focus of this essay: It’s HERE – It’s HERE. As little girls, my twin sister and I had devised a game at the same time, yet unbeknownst to each other. When one of us shared with the other what we were doing, we were both stunned. We had each felt that the experience was our own discovery. Soon, we were acutely aware of the moment of time in which we were looking at the object. The object faded from our attention, which was now placed in the present moment. Our full attention was on Presence, i.e. Pure Conscious Awareness. And this was fine, for a while. It was fine until we tried to stop the game, and discovered “it’s here”. Ok. Well, that is all good, but now I want to get back to other things, and “it’s here.” Cool. I get it. Time to return. “It’s here.” Yikes. This is a tiny bit scary. I can’t seem to stop this presence. “It’s here.” But won’t it stop at some point? Won’t I find the end? “it’s here.” Isn’t there a place outside of Presence, outside of the NOW? “It’s here.” But now it seems like a dream I can’t wake up from. “It’s here.” When I do seem to wake up, I’m still here! It’s beginning to feel like a light show, or a kaleidoscope that keeps opening and opening and opening and never, ever stops! “It’s here.” There is no end! There will never, ever be an end! It is eternal! I have touched the face of infinity! The NOW has never started and it will never end. “It’s here.” Let me out!! Even though it took quite a bit of words to describe this process, the experience itself took less than a minute. Time was ‘there’, as usual, with one minute seemingly coming after the other, and then it wasn’t. Or rather, it was there all at once. It was there AND not there. It was All AND Nothing. It was the Alpha and Omega. Eventually, at some point, my sister and I had to force ourselves to forget what we were doing. By ‘now’, we were terrified. We were like a caged animal, trapped in a never-ending dream. With each attempt to escape, we were faced with another instance of the Moment, which we resisted. And it was this resistance that caused our pain and suffering. Instead, we could have asked ourselves if there were actually something to resist or fear? Could we surrender to the truth of this experience? Could we accept what Is, Is, and what isn’t, isn’t? Could we open to the knowing of Who We Are as Pure Conscious Awareness, which will never die, and extends Itself forever? [Lesson 67] Love created me like Itself. I am in the likeness of my Creator. I cannot suffer, I cannot experience loss, and I cannot die. I am not a body. I would recognize my reality today. I will worship no idols nor raise my own self-concepts to replace my Self. I am in the likeness of my Creator. Love created me like Itself. What could this ‘knowing’ mean for us? Could it mean that nothing we have ever done in ‘time’ has changed Who We Truly Are? We give all the meaning our experience has. What if we found the courage to experience the essence of Pure Conscious Awareness? What would that be like? How would it inform our perceptions and our experience here in ‘time’? What actually gives meaning to our experience if not the ground of BEING, which is Pure Awareness? Only when I align my True Self with Pure Conscious Awareness am I able to open to the idea — I AM the Perfect, Sinless, Child of God. This is Forgiveness [opening to that which is REAL, here and now]. This is Salvation [opening to that which is REAL, here and now]. This is the Atonement [opening to that which is REAL, here and now]. There is no other path. And so we celebrate what IS—Love IS! God IS! We ARE! In this beautiful MOMENT of NOW, shall we open to Who We Are and will forever BE. Can we open to knowing that these words I am typing are from the very center of my Being, which is your Being as well? There is ONE Extension of the One Creator and Thou Art That! *Reverend Reja Joy Green is one of the founding members of the Course in Miracles Society [CIMS]; She is the CIMS webmaster, eMagazine editor and producer of the Daily Lesson Mailings [example of mailings]. Rev. Reja Joy facilitates the Course in Miracles study group in Omaha and is ordained as a Community Miracles Center minister. Rev Reja Joy facilitated the 2013 free ACIM DAILY Lesson Conference Calls along with Rev. Pamela Whitman. As a registered Yoga Instructor, Rev. Reja Joy teaches through her RejaJoy-Yoga-Studio from the perspective of A Course in Miracles and hosts several social media groups for those who share this journey. Rev. Reja Joy currently resides with her loving husband Chris Green in Omaha, NE. For many years, the almost overwhelming love and wisdom contained within the pages of A COURSE IN MIRACLES were more than I could take in. I sensed there was something there I REALLY wanted, but I resisted it strongly, without knowing why. Periodically, I’d pick it up and put it down again, like so many others have… until now! It was as if studying it on my own was not only difficult, but perhaps… lonely, or that part of me KNEW it needed to be studied and practiced in another way. Even my weekly ACIM class wasn’t quite locking it in for me. Although I eagerly looked forward to and deeply enjoyed my class each week, it always went by so fast, leaving me wanting and hungry for a whole week. Eventually, I became keenly aware of an almost desperate need for more. I loved studying under Harrison Blackmond’s leadership and with my classmates, but I seldom studied between classes. Studying alone left me with an empty feeling. Maybe one meeting per week just wasn’t enough for me. Then, my landscape changed and I’m so very thankful it did! 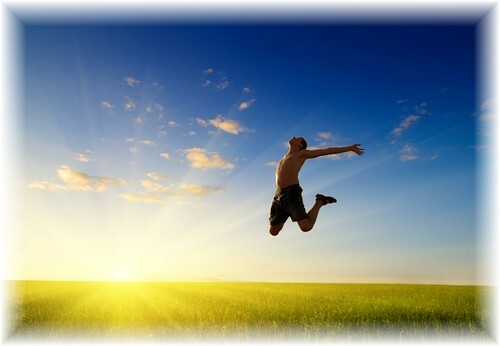 My weekly Course instructor, Harrison, sensed I was longing for more, so he invited me to join him in the mornings on two daily ACIM teleconference calls. Hearing the Course’s writings read by the many voices I met there did something miraculous for me. My loneliness gave way and I felt safe to share in the comfort of our common longing to know our true Selves again. Their different voices, filled with love and passion for the writings, brought out the Light in such engaging and delightful ways! After we read, we are invited to freely share what came up for us. The rich and deep wisdom, born from living experience within each member, brings the Truths and Principles to LIFE, which unleashes and captures even more treasure for me! One of these calls, facilitated by a fun and spirited minister named Rev. Pamela Whitman, from New Jersey, focuses on studying the Workbook for Students. Into our daily study and practice sessions, she wisely builds in some meditation time, as the Author suggests. It’s astonishing how beneficial this group silence is for me. There’s a trust and reverence that begins to build. Rev. Pamela’s opening prayer and centering is AWESOME and her closing prayer just makes me want to jump up and go practice my forgiveness training in the theater of the “real” world. She is amazing! She also allows two volunteers from our group to facilitate on Thursdays and Sundays, something I love to do. To me, she is a wise and loving Truth Warrior who inspires me to stretch out, open wide, and bite off more of my forgiveness potential! The other call was wonderfully facilitated in 2014 by Carl Lammers and focused on the Text. I find his soothing, deep, rich voice to be so comforting, encouraging me to expand. He has mastered the art of leadership in a particular way, making me feel so safe and secure. To aid in the digestion of the material, we read each paragraph twice, slowly and deliberately, with a different reader on each to extract more “juice” from the grape. All of us have voiced our deep appreciation to Carl for this method of study, which he borrowed from a group out in the Oregon/Washington area. Carl and his wife currently live in Lexington, Kentucky. Both calls encourage use of “A Course in Miracles Original Edition” [ACIM OE], published by Course in Miracles Society [CIMS]. This edition is the unedited manuscript, as it was completed by the scribes Helen Schucman and William Thetford. We are blessed to also have Lee Flynn, a CIMS member, on both calls daily. Lee contributed his efforts to the invalidation of the copyright, which was inadvertently instrumental in bringing the scribe’s original shorthand notes to the world. Within days of “meeting” my group members on the phone, I felt like I had known them forever. I felt so loved and accepted, marveling at how they could identify a caller dropping in with so few words. Even a little chuckle or a, “Good morning, family”, is enough to identify Carla, for example. Many of us also enjoy a Skype and Facebook group forum for further communication. Before finding this group, I was not aware that the rich and useful nuggets of living Truth contained within the pages of this MIRACULOUS book just begged to be experienced daily within the embrace of a loving, supportive community. I feel that being unable to see each other’s body is actually an advantage, as it robs my ego’s eyes of yet another avenue to judge. The Course teaches that judging others is how we separate ourselves from God. I believe Harrison is right. This world is a tough place to “BE REAL”, and I need a daily dose of love from this community to keep my strength and dedication fortified. I cannot believe how rapidly my spiritual muscle and vision are growing. My ability to forgive myself and others is like nothing I ever dreamed possible, not to mention my ability to love all of my brothers and sisters in the world, despite their seeming shortcomings. It is flat-out astonishing to me! Taking in and digesting the Course now is effortless and I can hardly wait for the start of each day to reunite and go digging some more with my Truth-seeking spiritual family. In fact, starting my day without it now seems almost incomprehensible. I just LOVE listening to the recordings later in the day, as I always seem to pick up more yummy stuff I missed on the live call. The profound concepts in the writings, sometimes couched in complex sentence structure, can be a little challenging at times, leaving me scratching my head. That’s when this community comes in so handy. All I have to do is voice my confusion and someone makes it so simple for me to understand. There are several members who have been teaching and studying it for many, many years. They are like ministers of Light to me and, when the “light bulb” comes on, I am frequently filled with so much excitement and gratitude that I can’t help but cry, so I do… and I let it roll. It’s very cleansing for me and the group seems to appreciate it. Since my junior year of high school (I’m 50 now), I’ve been passionately interested in self-help and have enjoyed years of deep therapeutic work, but I could never afford group therapy (in the world’s view, the ultimate powerhouse of psycho-therapeutic healing). To me, these conference calls are almost like group therapy, only better. I am bathing my mind in the Truth, and this causes what I’ve been hiding in the dark to become exposed and surface. If I then choose to ask the Holy Spirit to show me who I really am and find the courage to share my insights with my Course family, I am engaging in the purification process and removing these obstacles to my awareness of Love’s Presence. SHARING, I now believe, is the most essential ingredient in healing. Perhaps this is one of the reasons group therapy is so effective. By sharing ourselves with others we come to: sense the heat of Love aching to be released from within our crusty, defensive shells; contribute to the growth of others; feel and rekindle the blessed awareness of our Oneness with the community of the Whole; and, ultimately, return to Love by remembering Who we really Are—extensions of the pure Love of God. For me, tears and laughter are like the 1-2 punch when it comes to deep, lasting healing. They are a common experience for us during the calls. AND IT’S FREE!!! Well… almost. I do choose to make a weekly tax deductible donation [love offering] to support Rev. Pamela in their life-enhancing ministry. I will forever be grateful to Harrison for leading me to these TOTALLY LIFE-CHANGING Conference Calls, and for his AMAZING leadership. Were it not for the compelling demonstration of his own work and healing through the Course, and through the love and joy in his eyes and laughter, I very much doubt I would have found this treasure chest of fulfillment! If you, or someone you know, feels frustrated or lonely when studying A Course In Miracles, please consider my invitation to step into the Light provided by this welcoming, enlightening community. The Holy Spirit heard me calling for more… more love… more clarity… for a better way. Ask and you shall receive! Please feel free to drop in and visit our community anytime. We will welcome you to our circle of Love and Truth when and if the time becomes right for you! 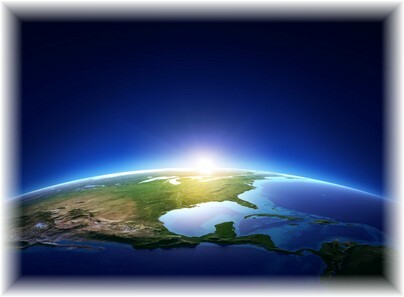 Join fellow ACIM students from around the world. * RHETT BILLINGS comes from a long line of Swedenborgian Convention ministers, but later in life discovered his true faith home in the contemporary scripture contained within A Course In Miracles. He received his B.A. in Social Service from Urbana University in 1992 and, while filling out the application to the Swedenborgian seminary, felt guided to wait until the second half of his life. Rhett lives in Troy, Michigan (a suburb of Detroit) with his wife, Karen, and younger son, Jesse (20). His older son, Reece (23), lives in Cincinnati, Ohio, near his Mother, Anna (Rhett’s former wife, also a loyal member of our Conference Calls). Rhett works for WOW! Internet, Cable and Phone as a multi-dwelling unit sales rep and hopes to one day become an ACIM minister (with a Swedenborgian background). as much a part of the Sonship as myself. I am a fan of Lady Gaga. I love her for her messages of choosing love, acceptance, and non-judgment, over hate, exclusion, and judgment. And I believe she often listens to her Inner Guidance System, which is what “A Course in Miracles” (ACIM) is teaching us to do. Being that my operating system is A Course in Miracles “one-point-0,” I tend to look at everything through the lens of ACIM. 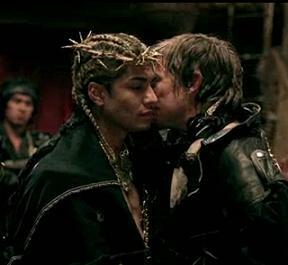 When I first watched Lady Gaga’s video, “Judas”, I didn’t get it. But as I watched it over and over through my ACIM lens, I ended up being moved to tears. If you haven’t seen it check it out on YouTube. To me, the lyrics of “Judas” speak to the state we find ourselves in this world. The song is about the split we feel in deciding between truth versus illusion, or love versus fear. We know that it is love that is good for us, and yet, we persist in choosing fear. In the song, Jesus represents love, truth, and Oneness. Judas represents the ego, which, according to the Course, is the part of our mind that WANTS to be separate from Oneness. Another way to describe the ego is fear. Our true state is one of Love. We are eternal, and we are One. And yet, according to “A Course in Miracles” we had the “tiny mad idea” that we wanted to experience ourselves as separate from our Source. And so we chose to enter earth school – this state of seeming separation that we believe is really happening. We chose to listen to the ego rather than to Love. And so the ego coaxes us to follow it, but all it offers us is dissatisfaction, loneliness, and pain. We know that Love is our virtue and will make us happy, and yet we cling to the ego to hide from Love. We really believe the ego has something to offer us. We are holy fools! The Course constantly likens us to spiritual children. We think we know everything. We think we know what is best for us. We think we know what makes us happy. And we think a love affair with the ego brings joy. Yet, we’re mistaken. Nothing here in this world really satisfies us or lasts forever. The ego’s motto is, “Seek but do not find” (~ACIM). How many times have we said, “when I get that better relationship, then I will be happy” or “when I get that new job, or those new clothes, then I will be happy.” When we achieve that which we were after, maybe we’re satisfied for a minute. Then we’re off searching for the next thing. The only true place to find happiness is within. Nothing outside of us can make us happy. The only thing that will really satisfy us is our connection to Spirit. With that comes a knowing of WHO we really are – that we are love, we are never alone, we are whole, and eternal. Being a channel for Love is what will make us happy. ♫ “I’ll bring him down, bring him down, down. When I intently watched the video and listened to the lyrics, seeing the forceful swoop of the dancers hands as they motioned bringing Jesus “down” I couldn’t help but feel emotional. In Jesus’ example, his persecutors (those who were identified with their ego) wanted to bring him (Love) down. Yet, we still do this over and over every day when we choose to listen to our egos and block out the Voice of Love. Judging one another and attacking one another are all various forms of wanting to bring love down. They are not acts of love, they are calls for love. According to ACIM, our egos are not our friends. The ego actively wants to keep love out. It doesn’t want you looking within, because if we really find what we are, which is love, we would stop believing in the ego. So the ego wants to take down Love. It wants to kill it.“The ego is therefore capable of suspiciousness at best, and viciousness at worst”(~ACIM). And yet, the Course also teaches that the ego is really nothing, and it is certainly nothing to be afraid of! It is just a dream with no power to change love at all. Jesus forgave everyone. Even his crucifiers. The ego’s actions had no power over him. I watched a documentary on the Gospel of Judas recently, and was struck to learn that according to that gospel, Jesus instructed Judas on what his part would be. According to this gospel, Jesus actually told Judas that he should turn him in. Judas had a key role to play, so Jesus could demonstrate with an extreme example that love, which is what we are, cannot be destroyed. No matter what awful picture the body seems to go through, Jesus’ resurrection showed us that we cannot kill love. We are not asked to be crucified. We are simply asked, in much less extreme situations, to be willing to see with the vision of Love, rather than with fear. We cannot choose to see with love on our own, we need to call upon our Inner Guide that is within each and every one of us, for help. For this Inner Guide knows the way to love. We don’t. Learning to remove the blocks that we’ve put up to love and discover the beauty that is already within each of us what “A Course in Miracles” is all about. *Corinne Zupko, Ed.S., M.A., C.P.C., is a speaker, adjunct professor, coach, writer, and meditation teacher. Corinne began her work with the Course in 1996 after struggling with debilitating anxiety and panic attacks. By practicing the Course principles, “what appeared as terrifying and unresolvable, ended up being one of the most growth-enhancing experiences in my life.” Her growth and healing journey led her into a career in the helping professions where she is passionate about helping others find and connect with their inner truth. There is a gap we all experience but may not always be aware of. It is the gap of time between a grievance and a miracle. It is the time spent in hell. It is the time spent on the cross before the resurrection. It is this period of time that the Course is trying to get us to pare down to the holy instant. By practicing A Course in Miracles, we are attempting to close the gap between grievance and miracle (or forgiveness). We start with a grievance at the beginning of a period of time and have to struggle to reach the miracle at the other end. As we all know, this period of time can be minutes, hours, days, or even years. All the while, we allow ourselves to suffer in that period of time. The time spent in unforgiveness is the time we are attempting to do away with. It is the only reason we have time in the first place. No matter how big or small grievances seem to be, God would not have us misuse time in this way. We attempt to close this gap by being mindful (Mind the gap! 😉 ) and practicing the Course. The gap will eventually shrink down into nothingness, which I believe is the holy instant. We can track our progress by how long we stay with a grievance. It may be particularly helpful to compare the times spent with similar grievances. My favorite thing about the Course is that is has all responsibility fall on us. How long do we want to stay in hell? It is our choice. This is not saying that forgiveness becoming immediate is easy, but it is saying that it IS possible if we want it. Yet our wanting it is the little bit of willingness that Jesus asks for. All he wants is for us to lay down our swords and our shields, and ask him: “Jesus, there must be a different way. Please, show me”. That IS all. I think we can track our progress by being aware of the time we spend with a grievance. It can be anything but it might help to choose something we are faced with over and over. (The re-occurrences are probably a sign that it’s time to move on anyway). For instance, I used to get pretty upset when my roommates were sloppy. It was more or less a grievance I carried around with me all the time, and one I used to deploy passive mental attacks. As I prayed and progressed, I noticed the time spent being bothered became less and less. It started only coming and going. Then, it would only last about an hour. Then, a few minutes, until I got to the point when I was able to shake it off almost immediately. It comes. I see it. I shake it off. This lasts maybe 3 seconds now. I say “shake it off” because I usually shake my head to take me out of that thought and onto whatever else. This is not a form of denial because I address the issue if I feel I need to. It is ridding myself of unnecessary attack thoughts.I hope to apply this to all areas of my life. There are many I’m still working on, but I have noticed as I focus on them, and pray, I do progress. There is always something I can work on. It’s not hard to find new projects once one has been brought to a comfortable level. May we all shorten the time distance to miracles. May we all close the gap.